After a true Gingerbread Explosion the last days, let me tell you it’s not over yet. Today we are travelling to Pepperkakebyen. How cool is that? What is Pepperkakebyen you are asking? It is the Norwegian word for Gingerbread Town. So here goes another Gingerbread Day! This is what I love about this being able to explore all the fun and new places, that you would have never known existed. Our Guide for the day is Linn. I love travelling, and take every chance I get to discover new corners of the world. When I am not out and about, I enjoy exploring my hometown, Bergen. What makes Christmas Special to you Linn? Christmas for me is the smell of the Christmas dinner getting ready, and then enjoying the delicious food with my family. A visit to the Gingerbread Town is a must for me to get the Christmas mood for real. After a few days of family time, I fly away to a new adventure. The best of two worlds. Entering the Gingerbread Town, I immediately feel the sweet and spicy smell. The dimmed blue light mixed with the warm lights inside the houses and the white cotton snow brings me right in the setting of a cosy dark winter night – lit up by the bright snow. To Read more about Pepperkakebyen and get all the details visit Linn… !!! 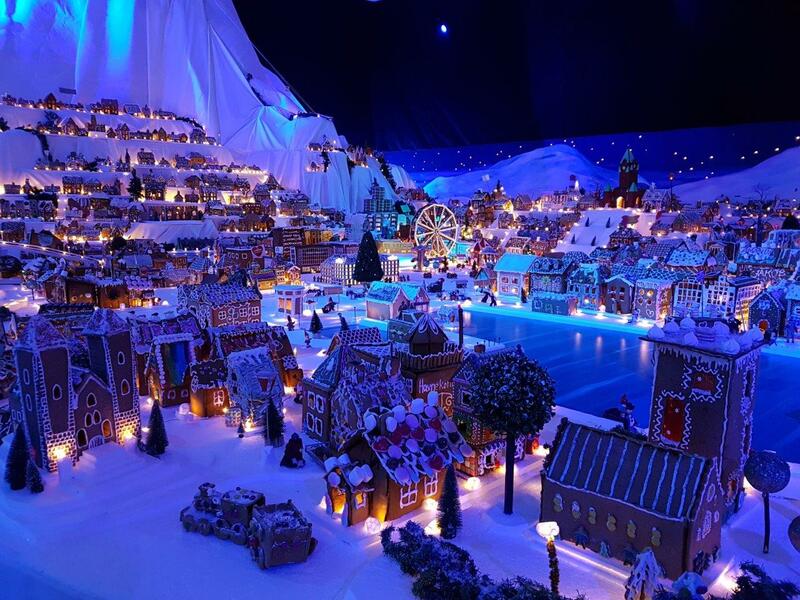 Have you heard of the largest Gingerbread Town before?